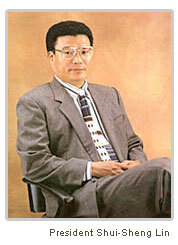 Sorny Roong Industrial Co., Ltd. (SOLOMON) was founded in 1975. We specialize in the expert production of electronic soldering tools such as hot air soldering tool, SMD solderint tools, soldering irons, soldering station, electric desoldering tool and tweezers which are with the latest soldering equipment and facilities to up-grade our products. Thanks to our persistent innovation and continuous improvement of the products in these years, our electronic solder tools at competitive prices and available in a large number of countries in Europe, America, Asia and even to Africa. To meet the growing market, we have launched new products of high performance, high quality and easy operation providing a wide selection to the users of electronic solder tools. Our products have been approved by European regulation EMC, TUV. CE Having a good re-putation in this field because of the quality, quick delivery and competitive prices of our goods. 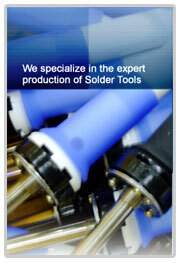 All our soldering tools have a one-year guarantee and provide spare parts and support for after-sales service. We sincerely welcome your inquiries, order and OEM project cooperation. To be the leadership of Soldering Iron in Taiwan and up grading product quality to meet international market demand. Address:4F.No.138.Chung Cheng Rd.,Chung Ho City,Taipei Hsien , Taiwan R.O.C. Plant Site: No.117. Tzuli 2nd St., Wuchi Area, Taichung City, Taiwan R.O.C.